Is Time Up For Time Magazine? Koch Brothers & Time Magazine are in talks. No one would claim that journalists have a great approval rating as it is, but news that groups like the Koch Brothers are making the leap from behind the scenes influencers to media moguls should be sounding alarm bells for everyone – if not a death knell for the whole enterprise of journalism. The news that Murdoch was taking over The National Geographic magazine was similarly problematic. Not that Time Magazine necessarily has the same pristine reputation, but its design and journalism has been really on point of late – it’s still obvious what they like and dislike, but they have given a lot of coverage to both political parties, and tried to give the viewpoints on both sides of the argument (even if their Republican themed covers have been more than a little dark). Knowing who is behind something does taint the final product, and whether it could survive this takeover is debatable. In the same way that the bombshells dropping on Hollywood have colored people’s opinions of the work the abusive men were associated with, it is hard to think that anything the Koch brothers touch is going to be able to remain unbiased. So, with all of the mainstream media outlets in the pocket of some rich billionaire or other, what is the alternative? It’s not like citizen journalism isn’t already going to be left reeling as new net neutrality laws allow ISPs to squeeze everyone for more money to prioritize the flow of data, and that looks to just get worse as the FCC surrenders something that has become a backbone for most people’s lives to the people with money. Political Correctness was the method in use for policing people used by Neo Conservatives, that started to seep into popular consciousness back in the early 90s, through the liberal media. It tried to maintain a picture of fluffiness while acting like the thought police and trying to shut down all discussion. Now we have something going on that is more aggressive and unconcerned with how it disposes of the people it has no time for. Reading Kill All Normies about the rise of the alt-right and its roots in internet trolling communities one sees the rise of not just disruption for the purpose of tearing down old institutions and evolution, but disruption for disruption’s sake. A lot of the tactics employed, like doxing, and trolling are becoming mainstream, and people running on the old model aren’t catching on quick enough. All the people previously locked up in terminologies designed to turn their speech into muzak are now unleashing the flat slap of their real opinions, and in some cases the real ugliness they have been holding back on. Sometimes ugliness created by the bottling up as much as anything. Disenfranchise someone long enough and they have little to lose. Citizen journalism – the notion of crowd-sourcing the news, was very popular, and it opened up the field to a whole host of amateur journalist wannabes, some really good writers, and what basically amounts to a whole slew of opinion column writers. The content was cheap to produce and had a more instant and far spread reach than most traditional print media was capable of, so it is not surprising that it became the new model for an industry that was ill-prepared for the change technology ushered in, and which had left them floundering. From the top you also had Fox News and similar outlets shifting from the established methods of reporting that, if they didn’t guarantee total impartiality, at least aimed for it, to a model of talking heads (the visual equivalent of opinion columnists). It was a perfect storm where opinion became the lingua franca of the media, rather than facts, and personalities were fore-fronted as news anchors became celebrities more than sources of news. Everyone can have an opinion. It builds the whole enterprise anew on shifting sands. And then the trolls moved in to destroy the last vestiges of a fourth estate. DIY culture, popular from the punk period, and weirdly the Victorian era (Bloomsbury Group, and the whole notion of amateur enthusiasts), embraced the apparent freeing up of the means of production, and the ease of distribution finally available to them. It gave voice to a lot of people who would previously not have been heard, and while it was a good thing, it also destabilized the fourth estate to a point where it couldn’t afford to pay its people, and they began to shrink, lose power, and become distrusted, because in a lot of cases they couldn’t fight back against the accusation leveled against them, or the lawsuit brought against them. Peter Thiel helping Hulk Hogan go after Gawker was a taste of things to come. Advertising became even more important than it previously had been (and it was pretty important) and the facts have either disappeared under the surface of the soup of opinion or been weakened by the money behind the news outlet. In the past you could pick a paper and you could probably determine its political leaning without too much effort, but the presence of opinion was back-grounded and reserved for columnists, rather than being at the front of the paper. By becoming only opinion columnists, rather than using the tools of journalism, put there to create unbiased reporting – which could be trusted by both sides of the political divide, they allowed the populace to go toe to toe with them. When you go toe to toe with a troll it’s hard to win, especially if you use the old way of thinking when it comes to your attempt to win an argument, meaning logic or somesuch. When you take an advertiser’s money you are compromised – it’s an old problem. There are a number of things that open journalists to attack, but opinion is the main Achille’s Heel. People surely still read critically, but the clever control that has been exercised to game systems such as social media, that were basically left to run on autopilot, has put so much false data out there, and used what were previously considered trusted sources, that it has been hard to pick apart the truth from the lies. It also sometimes seems like every thread has a troll ready to take the thread into either dark vitriolic expression or angry directionless diversion. We have atomized as a society in a lot of ways. We walk around with our gaze fixed on our electronic devices, and as we are marched down certain corridors by our confirmation bias, algorithms lock us into patterns of trends, that keep selecting difference and variety of out of the data-sets presented to us, and we end up trapped in a narrow funnel where the only thing being poured down our throats are the things we have already expressed agreement with. What is there that is going to challenge our world view? 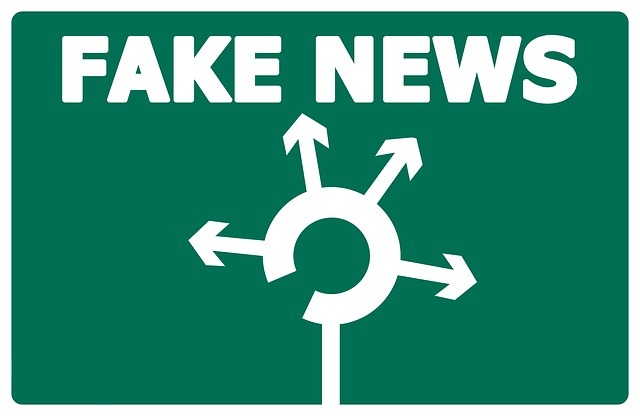 Some newspapers and other outlets have tried to rise to the challenge of combating fake news, and have tried to aim at some proper reporting, and to try and move away from the inflammatory tactics of old. Journalism has to evolve to survive, and the notion that politicians will ever be the arbiters of truth is laughable, so we need a swing back to the professionalism of old, and the lack of bias in reporting needs to be in the cross-hairs, even if the target is missed. In a culture of disruption, nothing is safe – what seemed to be unassailable edifices crumble like the legacy of Ozymandias – just look at the establishments being shaken at the moment. The Koch Brothers have their own agenda – their own viewpoint of what society should be, and they have been lobbying to push society in that direction for the longest time. Brute force through the lobbying system and the packing of politicians into their pockets is working, but perhaps seduction and using popular culture as a foot in the door is the way to go. Cambridge Analytica and the whole Russian Scandal has pointed to how easily people can be manipulated, and even if they spot the more obvious and blatant manipulation, bury an idea in your entertainment program and push it out there and do this with enough volume, and you may be able to fly under the radar with your propaganda. It will seep in under the surface narrative like a backmasked message on one of those old heavy metal albums. Media outlets shouldn’t be personal propaganda machines, and if that is what they look like becoming, they should be turned away from. It would be a shame if the improvement that Time Magazine has made to itself were undone, and it is surely going to be the case that the Koch Brothers buy something that gives them more media control, but with the FCC reduced to little more than a toothless lackey to the industry it is supposed to help regulate, and very little talk of monopolies regulations being aired of late, it seems that the only thing a media consumer can do is to educate themselves more about where their media comes from, and whether the journalism they are getting is even really worthy of the name. This, of course, presupposing that the death of net neutrality allows for any consumption worth its salt anyway.